"Ah, Venus. Considered by humans to be a bright star in their night time sky, some thought it possibly to even be a twin to Earth. And of course, they were wrong, but what do you expect? They're humans!" Q laughs for a moment. "Well, the humans in this universe, bolstered by the powers given to them by the Continuum's insane and stupid little pet project, teraformed Venus. Turned it into a lush jungle paradise where their primitive learning institutions could...ugh...flourish. More like stagnate, if you ask me. Blah blah blah, they got what was coming to them centuries ago, blah blah blah, they didn't all die because they're humans and humans are harder to kill than roaches sometimes, blah blah blah, and the threat we seek...welllllll let's just say that it's not that far away." 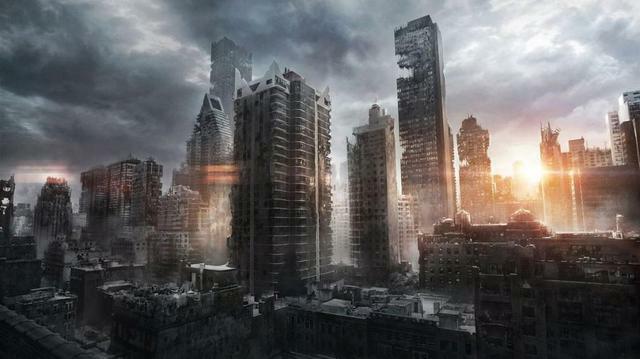 "The planet, in its current state, has begun to reclaim the land from the humans. There's still a city that's next to a sinkhole, frankly that was the best thing to happen to that dreary place since the initial slaughter. The wilds are either more jungle or they're starting to die off into cinders because, surprise surprise, you need technology to keep a planet known for being a toxic gashouse from reverting to its natural state. Oh, in a few centuries Venus will be right back to being a wasteland of desolation and noxious fumes, but for now, let's just see what awaits us, shall we?" A mischievous grin crosses Q's face before disappearing once more. "We're coming out of FTL, Commander. Running silent." Helm Officer Lieutenant Anne-Laure Berge reported from the cockpit at the nose of the Ticonderoga. "Conducting scans. Interesting. Venus appears to have been teraformed. Detecting evidence of settlements centered mainly around the Aphrodite Terra continent. Low intensity energy signals all around the area. Largest settlement is on the edge of Aphrodite, and there is wilderness and a mining complex." Allyson's AI, Dee, reported. While she was on the ship, the AI appeared as a bright green spherical hologram and used the ship's audio broadcast systems to speak out loud. Dee spoke with a male voice, and tended to be a bit on the clipped side in his terms of speech. "Interesting indeed. Where are we picking up energy signals from?" Allyson asked as she leaned against the railing overlooking the system map that was displaying holographic readouts of Venus and the Aphrodite continent. "I am detecting them scattered all around the remains of a city, as well as what I think is a mining complex. The area almost appears strip mined." "Yeah. Well, is it safe to set down on?" Allyson asked. "That is a loaded question, but the atmosphere is breathable. We should coordinate our efforts, but I will prepare the shuttle. Who do you want on the mission?" Dee asked. "Dreog, Tinker, and Suki." Allyson said, and then stepped down from the map area and over to her terminal, linking up to comms, "Ticonderoga to Allied Fleet. We're establishing orbit, no hostile contacts detected. We're picking up energy signatures scattered all around the Aphrodite continent. I was going to head on down to the remains of that settlement, anyone got anything they want to suggest?" Down below, the AI helpfully had already assembled Allyson's ground team. First up was Thax Dreog, a Krogan who formerly did freelance operations for his rich uncle on Illium before joining MAC-I. He was actually fairly even tempered for a Krogan, but never once shied away from a fight. Tinker was the nickname of a Geth platform that was assigned to the Ticonderoga, and had been a valuable asset for them ever since. Staff Lieutenant Suki Vasquez was an N7 rated biotic commando who was very quiet spoken but extremely effective at her job. She was also brilliant with many subjects, making her the closest thing the Ticonderoga had to a science officer. With no one else signalling their intent to scope out Venus, Dylan gave the order for Becca to pilot Andromeda to the second planet. Once ensuring they were at a safe distance, the massive starship jumped to slipstream. A few short minutes later they dropped out in the vicinity of Venus. On the viewscreen the command crew looked out at a planet slightly smaller than Earth, but with the familiar blue/green hue that suggested a habitable world. As the ship moved closer, Dylan activated the internal comm system. Once she had enough sensor data, Andromeda gave the condensed results of her scans. While Andromeda was still speaking the hail from the Ticonderoga came through. He paused to think of who should go. He was going to address the visitors when another hail came in, this time from the Shenzhou. After acknowledging the hail, Dylan returned his attention to the Green team. She still wasn’t sure what to make of the whole situation, but that hadn’t stopped her before and wasn’t going to stop her now. At the request of the Enterprise, her crew provided engineering support to the Challenger. 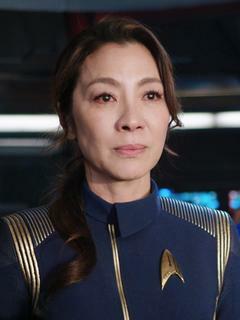 She had read about the NX Enterprise while at the Academy and was aware of the current Enterprise under the command of Captain Pike. The letter B at the end of the ship’s registry number suggested there had been another one between Pike’s Enterprise and that under the command of a Demora Sulu. Now they found themselves tasked with aiding in the investigation of Venus. Supposedly there were some clues on the surface about the still unknown threat they were facing. As the Shenzhou dropped out of warp, Phillipa examined the planet filling her viewscreen. While parts of it were habitable in her era, much of the planet remained uninhabitable. It didn’t take long for the Kelpian to start receiving data. He relayed the important data to the viewscreen as he spoke. With the Ticonderoga sending a team to that location and the Andromeda following suite, Phillipa saw no reason not to do the same. SPARTAN II Sierra 112. Master Sergeant George. UNSC ONI Artificial Inteligence. Alexis. The rest of Green Team hung back But George stepped forwards. "Sir." He said as he looked to the view screen at the other two ships that had joined them. He had to admit they didnt look like much, but then again not a lot did, especially seeing as the Corvette they had arrived in was one of the smallest and weakest covenant ships and it dwarfed most of the things here. He looked to Hunt. "Sir, I would suggest we contact the other landing teams, find out where they intend to go, And see weather everybody wants to go to the same location or if we want to fan out." He added with a shrug. "Safety in numbers, Depending on if you trust those numbers." He looked back to the view screen. "We'll take the offered lift sir. We can provide security for your team or we can act as a second team and preform our own Recon, Though I would ask." He nodded to Lucy, who reached behind her and unhooked some kind of container from the back of her belt then approached them. "I dont know if you have Artificial Intelligence Rampancy where you are from." He looked to the android to explain. "In our Universe AI only last 7 years before they become so, smart they start to tare themselves apart through over thinking, essentially, but, I was reading some of your publicly accessible files." He turned to the Android, and then looked to the representation of the woman on the screen, he understood they were the same person but also different, it was just a little hard to remember that when things normally worked differently to him. "And I am under the impression that your Andromada Interface AI is more than seven years old." He added. Lucy handed him a container that seamed to hold some kind of chip in isolation. "We have an AI here, Sif, she was the AI for a battleship, however the ship was disabled and the crew abandoned ship, tough her crew never enacted the Cole protocol and she was left behind." He looked to the chip in the container in his hands. "She should have deleted herself, though she didnt, we dont know why and were in the process of recovering her, to return her to the Office of Naval Inteligence where they could make sure she hadn't been investigated by the Covenant." He then looked to hunt and held it out. "Can you, remove her rampancy?" he asked. "I dont mean to ask a huge thing of you sir, but she would be a great help. Even if its just to the ship that's using the Corvette we rode in on to rearm its of she could work as a assistant aboard the central space station and help co-ordinate all these ships. She is an Asset we could all benifit from and there is no sense in keeping her locked up if she can be repaired by your technology." He then added. "But if you dont want to or cant we will carry her to the surface with us and continue recon weather you want us to head out on our own task or if you would like us to join your insertion team as a security element." The Green team's leader had a good tactical mind, which made sense for someone in his position. Dylan glanced at Tyr for his opinion on their new allies. The Nietzschean shrugged. There was going to be enough unknown people on the planet, and so far Green team hadn't given him any reasons to distrust them beyond the normal doubt. "Like I said, you're welcome to join our team on the planet. Considering we don't know what we're facing down there, extra security could prove useful. Plus if something happens and we have to suddenly leave, will be easier to do if everyone is together." He paused to study the scans of Venus on the screen. "Rommie, how large is the main city. " "While portions of the city have been reclaimed, I would estimate the size to be 547 square kilometers. (211 square miles) That doesn't include the mining complex. The mine complex is around 200 square kilometers, with the deepest tunnel reaching about 2.5 kilometers." It was a large mine and even larger city. "My recommendation is check out the mine. Include Mellor & Russo on the mission. Their skills could come in handy. Make sure to take a long respirators, don't want my crew dying of poisonous gas on Venus." When George turned his attention to her, Rommie could tell he was a bit unsure about his next comment. She listened intently as he explained how AI's generally lasted for only 7 years before their programming tore themselves apart. While he seemed to address his comment more at Dylan, Rommie answered it anyway. "You are correct. An AI could conceivably last for centuries, and I know of a a few who have. Personally my AI is not that old, but is several years past seven years." She was all for helping another AI, but knew the ultimate decision rested with Dylan. Unsurprisingly, he had a response almost immediately. "Personally, I don't know enough to answer your question. I know how to interact with AIs, but the ins and outs are a bit beyond my scope of knowledge. However, I happen to know someone who might be able to help." He activated his comm system. "Mr Harper, your presence is requested in the Command Center. I have a special project for you." It didn't take long for his chief engineer to enter the room. Handing the container containing the chip, Dylan explained the request. "... considering the work you've done with Rommie, I figured you were the best man for the job." Harper's face light up with the thought of the challenge. "I'll certainly give it a try." Turning his attention to George, he asked a few questions. "Will you grant me access to your available info on this AI? There's no guarantee it operates on the same principle as those from our universe. Also, am I correct to assume this chip is sufficent to run the AI?" While that was going on, Dylan stepped over to the command console. "Starships Shenzhou & Ticonderoga. 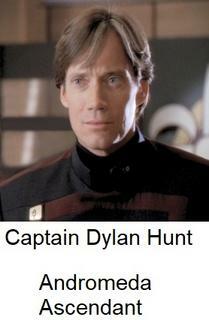 This is Captain Hunt aboard Andromeda. 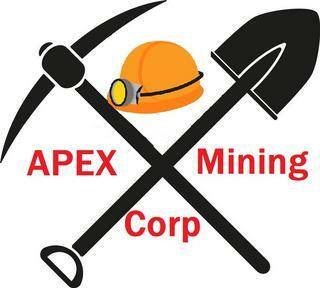 We are preparing to send a team to scout the mining complex. Any objections, recommendations?" "Understood sir, though I would advise that me and my Spartans lead the way." He wasn't showing off just being logical. "We seam to be more, armoured than your crew." He added with a shrug before turning and listening to the robot, or the computer. He was a little confused, were they different people? Were they the same but one was a fragment. He had no idea how that worked in their universe. he was intrigued though the idea that AI could last for ever, he was then a little concerned, it meant they could play the long game unless they were inherently subservient to humans, but that was a debate for another time, with somebody more knowledgeable than himself, finally he turned to the shorter man and looked down at him as he asked questions. George answered as best he could. "I'll have Alexis leave a copy of her structure behind for you. Unfortunately, Sif is a Second generation AI, and is considered out dated by our standards. Alexis is a fourth gen, sort of." He shrugged. "But she will leave behind a memory chip of infomation, the chip in there is sufficient to contain her yes, or at least, I believe so, I'm a Marine, not a engineer but the chip is rated for a fifth generation AI. Though I would advise you do everything possible to keep her contained till you can confirm she is not a threat, otherwise you may very well loose your ship." he looked to Hunt. "We will be in the hanger sir." He said with a quick nod. "Mr Harper, we will leave the chip in the our accommodation." He said as he and his team left, wanting to get out of the way and prepare their equipment. The shuttle gracefully made its way from the hangar of the Ticonderoga and into the atmosphere, minimizing the usual re-entry "chop" as it came up on the location. Next to her was Suki, and she was in the standard armor for N7 Furies, specially trained biotic Adepts. It was a lightweight armored suit with hood and full face covering recon head hood. Dreog was in his usual Krogan battle armor that was finished in shiny navy blue, and Tinker was a "basic" Geth soldier platform finished in a bright blue hue. The shuttle flared as it swung over the sinkhole and the side door opened to reveal the landscape before them as it started to land. She had to admit that whoever had been here beforehand, they had done a great job with the teraforming before being wiped out. She would've been hard pressed to prove they were on Venus. Not even Mars looked this good, and it was heavily colonized by humanity in her time. "Alright, eyes and ears, people." Allyson said, as she reached behind her back to remove one of her weapons. It was a Valkyrie assault rifle, latest Alliance issue weapon. The burst mode kept her shots nice and moderated, but still it had enough kick to drop just about anyone in a hurry. Dreog had a Cyclone heavy assault rifle, Suki favored the M12 Locust submachine gun, and Tinker was equipped with a Geth SMG. "Any idea where to start, Commander?" Suki asked as the shuttle lifted off to return to the Ticonderoga. "Dee?" Allyson passed off the question to the AI. Now that she was on the surface, the AI was projecting itself through her cybernetic augmentations. Unlike the Starfleet Admiral, Allyson's were out of sight, save for if someone really were to look into her eyes. Dee could communicate entirely within Allyson's mind if he needed to, but could also project through their commlinks, which he did. "Proceed into the city. Waypoint markers have been added to your HUD. This is where the ship's sensors are detecting the most concentration of energy sources." Dee said. "Right. I'm on point. Loose formation, don't shoot anything unless it's obviously hostile. We can't go kicking over any hornet's nests quite yet." Allyson said. Dreog grunted in an amused tone. "No fun, Commander." The Krogan said. Allyson just shot him a grin in response. He wouldn't disobey orders, but he could still make quips. "Dee, link me up to allied units, both with status updates and comms. "[/color] Allyson mentally said. "Understood, Commander. Frequencies are already set. "[/color] Dee replied in her mind. "Ares Six-One reporting in. We're moving into the city. My AI has us pushing on some of the energy signatures there." Allyson reported to the friendlies with them. The team from Andromeda with their Spartan escorts left the Andromeda. With the exception of Rev Bem, all those from Andromeda wore light body armor and carried a force lance. As was often the case, Tyr carried his personal sidearm and gauss gun. In accordance with Dylan's request, everyone carried personal respirators on their person. As the Paelun left the Andromeda, Trance maneuvered the craft so it entered the atmosphere over the main continent. Upon dipping lower into the atmosphere, Trance turned to Rommy. "Where do you suggest we land?" Rommy projected scans taken near the mine onto the viewscreen. "Sensors indicated a large flat area less than a kilometer from the mining complex. There are no indications of geological instability, either from volacanoes or from the mining itself." The craft banked to the left as Trance turned to bring the trajectory in line with Rommy's suggestion. When the broke through the cloud layer, the remnants of a city could be viewed down below. The roadways and bridges had been largley taken over by dirt and grass, while climbing vines could be seen covering larger items such as signs and statues. While many of the larger buildings were still standing, the signs of erosion were clear. Windows were broken out, and the tops of several taller buildings were starting to crumble. It was almost as if a large creature had taken a bite out of them. The rising sun cast an eerie glow over the whole scene. 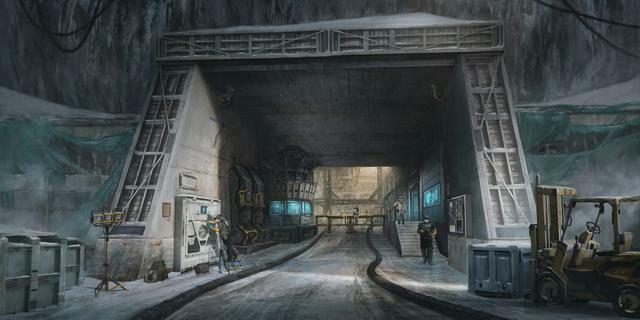 Continuing on, Trance piloted the Paelun to the mining complex on the opposite side of the city from the sinkhole. Locating the landing zone, she set the craft down. With sensors not picking up any lifeforms, the hatch was quickly opened. Stepping out, Tyr quickly took a look around. Looming up ahead was a large tunnel bored into the rock, presumably the main entrance to the mine. Once everyone else had exited, Tyr took charge of the group. Aside from Dylan and Becca, who remained in orbit, there was no clear hierarchy. "Sergeant George, I recommend we have two or your people up front and two in back. Rommy can join you up front, and I will help take up the rear." George stood behind the pilot, Trance. She was. Alien but humanoid, very humanoid. Honestly it was a little odd but he kept quiet, though as they came in over the ruined city his Spartans may have looked odd, they haddnt turned their exrernal audio off and were all looking down at their feet as George sent them back his view. "Damn. Looks like one of the colony worlds back home." Mumbled Ron. "Not quite." Replied George Ron looked to him, well the back of his head as Lucy quietly said. "Not enouth glass." Ron stopped, nodded then looked down. They remained quiet till they touched down and got ready to move George approached Ter and listened though he agreed he did have to correct the man. "Its Master Sergeant. Sir." He didnt know if this Ter was an officer but he seamed snobby enough, a little like an Elite he had met soon after they had made an alliance and the Elites had learnt the difference between UNSC Officers and enlisted men. "But I agree." He turned. "Gunny, Tom, your rear guard. Lucy your upfront with me." He said as he already started to make a move towqrds the entrence, weapon raised Alexis was quiet, but George could see she was using his armour to run scans. They stopped at the entrence of the tunnel though they had filters in their helmets. George still preferd to use his lamp and activated it to look at the walls, seeing if there were any signs of life. Tyr double checked his weapon as he waited for the others to move forward. As they began walking he took in the sights. There were a few forklifts parked off to the side, that from appearances had been there a while. All the tires were flat, with patches of rust appearing on several of the unpainted surfaces. A set of train tracks ran along the left side of the tunnel with a raised walkway on the opposite side. Having worked as a heavy equipment operator as part of the Keldoza project, Mellor slowed down to take a look at the vehicles. He was curious how they stacked up to the tech he was used to and if they would provide any clues to what was going on. There was a smaller forklift that was likely confined to paved surfaces and two larger ones that appeared designed for all terrain operations. Filing that information away for later use, he followed the others through the tunnel. Walking to the right of Lucy, Rommy conducted her own scans of the locale. Moving at a cautious pace, it took those from Andromeda and the Spartans about fifteen minutes to transit the tunnel. The train tracks continued off to the left where they disappeared around a sharp bend. The road split into two with one section continuing straight into what appeared to be a large garage and the other stopping in front of an imposing office building. A large sign on the building’s side was emblazoned with what appeared to be the company logo. As Mellor was the one with experience in mines, his opinion had more weight than it would otherwise. Try looked over at his slightly mysterious companions. George looked to his team before they entered the mine. The UNSC had a few mines very much like this. They were often good places for insurrectionists or covenant remanent forces to ambush them. During the walk george took the time to tag the Andromeda Ascendent with a UNSC tag, just incase any other forces from their universe arrived here. After travelling through the tunnel and approaching a office the not quite human from the Andromeda asked his opinion. "It would make a good base of operations. Sir. Though... I would suggest we send a clearing force in first." before he had finished, Lucy had broken formation and was drawing a device from one of her pouches. a small hand held tablet looking devise with a big lens on it. It was a simple bit of detection gear, from a defunct UNSC project that had been dropped after the war that Green Team had acquired. Lucy turned and gave George a thumbs up before stacking up on the door. "Tom. Get up here." Called George as he looked to Tyr. "We arnt picking up any traps, but the detector is calibrated from our home universe, so it may not be effective here. I would advise me and my Spartans go first." He looked around at the others. "Apart from your android. none of you are very well armoured." he said. Tom had stacked up behind Lucy as George waited for Tyr's responce, the other side of the door left open for him to take. Tyr had to admit the soldier had a point. While they hadn't yet run into any trouble, there was no guarantee that would remain true. The mysterious Q only said they might find something of interest on Venus. He said nothing one way or the other about their safety from whatever evil force was lurking in this reality. As he considered George's suggestion, another thought came to his mind. "Mellor, any chance they have automated defenses inside the main office?" The ex-miner shrugged his shoulders. "Hard to say. Kwajalean was one big mining planet. Everyone there was engaged in the industry in one way or another. There was no native wildlife to deal with. I heard rumors of some larger mines on inhabited planets having some defenses, but have no first hand knowledge." It was at that point that Rommie spoke up. "Your also assuming that this reality operates the same way as the one we came for. It wouldn't hurt to be cautious either way." "Then it's agreed. Master Sgt. your team may sweep the entry way to the offices. But I will have you know, us Nietzscheans are better suited for combat than your average human. George felt like they had bonded, some what to the point where he felt comfortable teasing the... Nietzshean, just a little. "Though you still choose not to wear body armour. Dosnt quite scream Better than Average to me." He made sure his tone was joking not wanting to upset their new friends. he took a moment to flash a preset message to his team mates, prepare for breach. the UNSC may have had their own drills as did the Spartan Branch, but with more 'Spartan' Exeprience than any other fire team in the Spartan Branch, bar Blue Team, Green team had their own tactics. They had drilled it before all of their helmet mounted lights were set to a strobe mode. it would act like a flashbang. Their motion trackers detected nothing inside. So Lucy moved in to position, her back pushed against the wall, one boot on the floor the other raised ready to back kick the door open. Gunny Sykes took a position outside the door his LMG at the ready if anything burst out before, or after the team went in. All the others heard was George say. "Go." As Lucy back kicked the door, she had actully kicked the side of the door with the hinges on, with no visable handle there had been no way to tell from their side her kick had ripped the door from the wall and George was first in his helmet lights strobing as Lucy and Tom followed, with Sykes slowly following up to the door way. "Clear." Came the call from George as their helmet lights stopped strobing and were now on constantly cutting through the darkness as Lucy approached a control on the wall and activated the lights. and one by one their helmet lights turned off. "Offices look clear. though it might be worth somebody checking the systems." Said Tom as he approached Taer with a computer tablet. "Was mounted to a bulitin board. May have some usefull info on what happened here if anybody can get it on, all the other stuff on there is faded or decayed its unreadiable." "We believe too much body armor slows you down." He tapped the woven fabric over his torso. The group from Andromeda waited outside the door as the Spartan team. After a few minutes George emerged with a computer tablet, and a report that all paper items were too far gone to be of any use. Tyr took the offered device and handed it over to Rommie. While the interior of the mining office was mostly intact, it was clear no one had been there for a while. The floor was covered in a layer of dust, as were most other horizontal surfaces. What remained of the paint on the walls didn’t look like it would stay on much longer. Various posters and paintings on the walls were also showing the effects of time. Despite everything being abandoned, there was an order to things. Doors were closed,chairs were mostly pushed in, and desks weren’t cluttered more than what would be expected from daily use. Oddly though, there were no computer terminals visible with the exception of the tablet found by the Spartans. Rommie was still attempting to interface with the computer, so the team decided to stay put in the office for the time being. When she was able to gain access, Rommie handed the tablet over to Mellor. Scanning through the reports, Mellor did his best to make sense of it all. He scrolled through the other reports. Brauk had been staring out the window at what she assumed was the entrance to the mineshaft. George looked to Taer and took a moment to tap his own chest plate. "Works against projectiles, plasma and laser fire, blus nuclear, biological and chemical weapons, heat, cold, anything you can think of." He said as he stood by the door keeping an eye out, waiting and listening. As somebody mentioned the issues the planet may have had he frowned. "Do we know what the current year is? In this universe?" Asked Tom George nodded. "He has a good point. Six years ago recorded on that tablet could only be what its recorded. You know when you turn off a computer thats isolated, and then when you turn it back on it continues from the time it was turned off." He hoped that was more universal than slip space time dilatation. "Because. Well... It could be chemical weapons rather than bad air." he went to pick up a note book that crumbled in his fingers to make a point. "Maybe a chemical that decays paper as well as people..." He shrugged. His other thought was something like the Composer, and he didnt want to think about that being a possibility here.